This course will be offered to all the dogs which have completed both the Basic and Intermediate Obedience Training Courses in my TK Canine Training Centre. The Advanced Obedience Training course is comprised of six 1-hr one-on-one lessons. With some special equipments in my Canine Training Centre, I will teach the Owner to train the beloved pooch to do dog agility. Dog Agility is a dog sport in which the Owner directs the dog through different obstacles with accuracy within the shortest time. During this course, the Owner will learn to direct the pooch to run through a Dog Walk (Bridge), Teeter-Totter (Seesaw), and an A-Frame. In addition, the Owner will also learn to train the pooch to jump over a Height adjustable winged single jump. 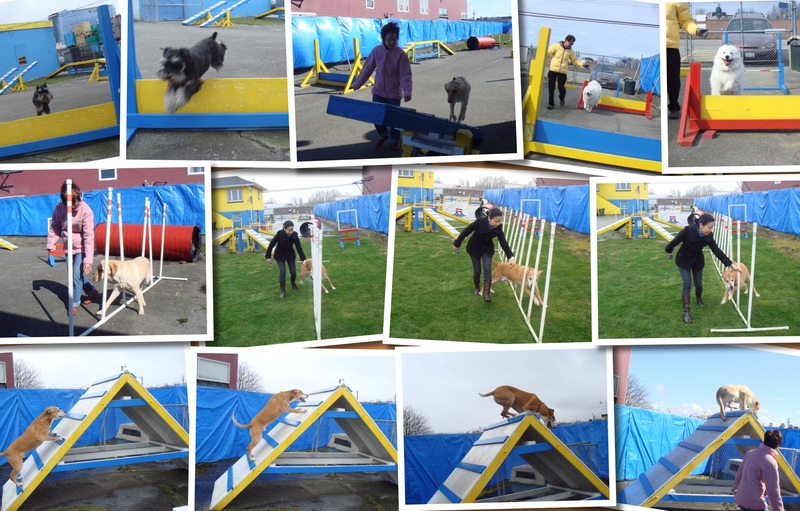 Dog Agility not only creates some quality fun times for the Owner and the dog, but also helps to strengthen the dog’s confidence and increase the dog’s attentiveness to the Owner’s commands.